This stunning photographic journey through one of India’s most beloved cities traces the evolution of Lucknow’s most significant architectural creations, providing a unique visual narrative of material heritage. Extending along the banks of the river Gomti, Lucknow, the capital of Awadh, was once the dynamic hub of an elaborate, highly coded and sophisticated nawabi (courtly) culture. It was also the site of some of the bloodiest violence of the 1857 Uprising. During the British reprisal, many of its strikingly ornate buildings were destroyed or left in ruins, beginning a process of transformation that would continue to affect the once thriving city along with its rich pattern of life. In this publication, many striking photographs from the Alkazi Collection trace the life and death of many of the city’s impressive buildings and architectural complexes. Illuminated by the writings of distinguished historians and architects, this volume reveals the significant connections between the two disciplines as played out in a city that is constantly changing and forever adding to its rich historic past. 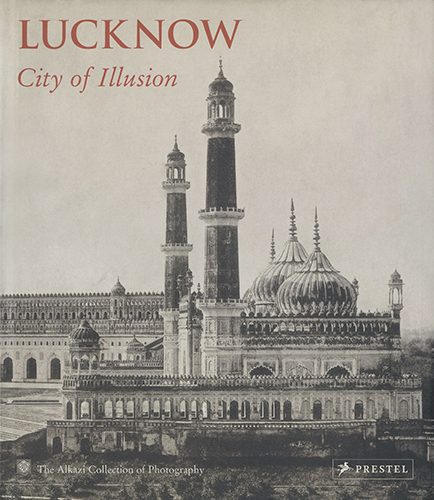 Rosie Llewellyn-Jones has been working on the history and architecture of Lucknow for over twenty years, and is widely acknowledged as the leading expert on the subject. She has published much in the field, including A Fatal Friendship: the Nawabs, the British and the City of Lucknow (1985) and A Very Ingenious Man: Claude Martin in early Colonial India (1992). Peter Chelkowski is Professor of Middle Eastern Studies, Hagop Kevorkian Center, New York University. Neeta Das is an architectural historian and practising architect, based in Lucknow. Nina David is Reader in the Department of Western History, Lucknow University. Stéphanie Roy Bharath was Curatorial Assistant, The Alkazi Collection of Photography, London.